On Wednesday 8th July, the Quadkids team went to the County Athletics Final at Marlborough College. Our team was split into boys and girls for their events, with all scores contributing to the overall team total. Everyone achieved a personal best in long distance running, sprinting, standing long jump or vortex throwing. We all performed brilliantly and scored loads of points which resulted in us coming 5th overall out of 15 teams, and we are now placed 1st for all of West Wiltshire! After the tournament, Miss Blake let us go to a small activity fair where everything was free, and Miss Blake even learnt to hula hoop! Special thanks to Cally Smart for helping get us there and back. We had a fantastic day, well done everyone! On Friday 4th July, we took part in an international football tournament at Christchurch. The tournament was fun even though there were some tough teams. Our 1st match was against Malta. We thought we could beat them but their striker Zane scored a couple of cracking goals and we eventually lost. When we played Winsley we drew 1-1. We finally played Christchurch who were a brilliant team and we lost 3-2 after a great performance. Overall we came 3rd. We would like to thank Simon Richards for being a brilliant coach. On Monday 29th June, we took part in a Quadkids Athletics competition at St Laurence. We did throwing, jumping, 75m and a 300m race. It was really fun! There were some amazing throwing skills by year 5 & 6, and year 3 &4 did some long jumps! Everyone sprinted like lightning, and ran like cheetahs in the long distance race. The final results were Winsley 3rd, Fitzmaurice 2nd and Christchurch in 1st place. Well done everyone! On Monday 22nd June, we took part in the County Cricket Finals at Trowbridge Cricket Club, and we are pleased to announce that we are now the third best team in the County! Although we lost to the Mead in the semi-finals, we won all the games in the pool stage, everyone took wickets and scored 6s, we played brilliantly as a team! Over 150 schools started the competition at cluster and district level and the best in each district from the whole of Wiltshire took part in the finals, we are very proud of our result. Thank you to all parents and grandparents who came along to support us, you helped us believe in ourselves! 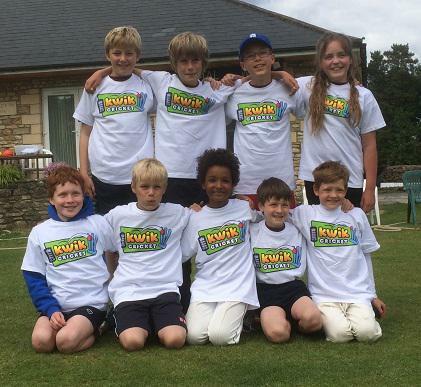 On Tuesday 9th June the Fitzmaurice Cricket Team, made up of James R, Will A, Seb P, Joe M, Joe D, Jacob M, Freddie R, Lily B and Jake B, went to Winsley to play a cricket tournament against schools from Bradford on Avon and Melksham. We played 5 matches against Christchurch, Aloeric, Churchfields, Winsley and St George and won them all! We played like true cricketers, and won the tournament with 1396, beating the second team with over 100 runs to spare! This year’s cluster swimming gala went really well with 9 first places and lots of competitive races. Congratulations to Thomas R, Sapphire T-L, Jacob M, Megan C, Louis W, Ceinwen V, Sofia F and Will A (who won 2 golds!) Well done Team Fitz! Well done also to Martha S, Grace V, Oskar W-H, Madeleine R, Danny-Joe M, Joe A, Eve M, Ned L & Abby M-D. You all did amazing! We came 2nd out of 5 schools (beaten by Christchurch on 102 points to our 96 – but there’s no hard feelings!) All the team did really well, and hopefully we will come first next year! On Monday 18th May 2015 the Fitzmaurice athletics team, consisting of Will, Toby, Joe, Danny-Joe, Finn, Sarah, Carys, Emma, Olivia and Amy, took part in the West Wiltshire QuadKids competition at Bath Uni. 240 children in 24 teams from schools across West Wiltshire took part, and in spite of the inclement weather, Fitzmaurice did extremely well both as a team and individually, coming 2nd overall. We will now go on to compete in the Wiltshire County competition in Marlborough later in the summer. Individually we had 5 top ten placements in the individual competitions. Will and Carys both came 2nd out of 120 in the boys/girls competition respectively. Sarah came 5th out of the girls; Toby 6th and Finn 7th out of the boys. Well done everyone for doing so well in spite of the rain and howling wind ! 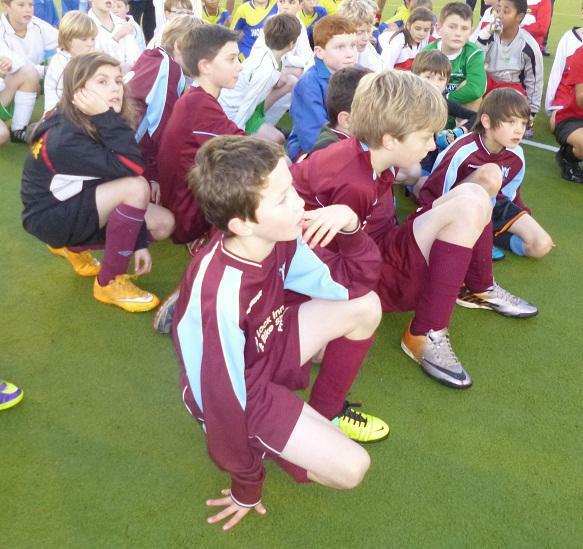 On Wednesday, 3 teams from our school took part in the West Wilts Gym Festival against 22 other school teams. The children had to perform a floor routine, and a vault, and the scores of both were then combined and added to the overall team score. All the children who took part performed fantastically well with no mistakes in either their floor routine or vault and should be congratulated on their achievement. We are very pleased to announce that the A team (Carys M, Danny-Joe McG, Jasmine M, Violet B, Maya M and Armand W-H) are now overall County champions! The B team came 7th and the C team came 10th. Beginners – Violet B and Carys M 2nd on floor, Ibby O’N 1st on vault and Violet B 2nd in overall competition out of 120 competitors! Advanced – Armand W-H 3rd on vault and 2nd in the overall competition out of 80 competitors! Elite – Georgia H 6th in the overall competition out of 20 competitors. Miss Blake would like to thank all the children for their hard work over the last 6 weeks; this is proof that ‘practice makes perfect’! We came 1st in our groups with some big wins. Then we went on to the quarter finals to win against Holt 6-5. Next we beat Sutton Veny in te semi finals 4-2. Then we played St.Johns in the final and beat them 4-2. Hip hip hooray! Will, Sarah, Ewan, Emma, Seb, Carys, Conor, Jake B, Finn, Lucy and Toby. On Wednesday 25th February we went to the Bath Forum to participate in the West Wilts Dance Festival. We were one of many schools and it was a nerve racking but exciting day. We had a practice beforehand in the afternoon, so we were prepared for the big night. All of the dance club had a lot of fun on the stage. We’re glad that it went to plan and we enjoyed putting on make-up and wearing colourful costumes. Fitzmaurice participated in the Cluster Cross Country at St Laurence on Thursday 12th February. We tried really hard and it paid off. Here are our results. All the children that participated were fantastic and showed huge determination. Congratulations on your brilliant team effort and your individual achievements. On Monday 9th February, the school netball team went to Kingdown school to play in the West Wiltshire netball tournament. We played four games and out of those, we won two and lost two games, coming third out of 12. We had a very good team. At 3:50 we played our first game against Bitham Brook who thrashed us 5:1. Toby L scored our only goal. The next game was against St Johns. The score was 2:1 to them, with Lucy S scoring for Fitzmaurice. After a short break, we played our third match against Sutton Veny. We won 1:0 with Toby scoring again. The final match was against a whole girl team and we won 3:1. Toby, Emma L and Abby MD each scored a goal. Abby won a special award for self belief. Bitham Brook won overall! On Monday 26th January Fitzmaurice was represented by 3 teams at the Cluster Netball tournament at Christchurch school. The ‘A’ team won the Cluster Netball tournament and now go through to the West Wilts finals! Our ‘B’ team also won their tournament and the ‘C’ team came third. All Fitz teams showed great cooperation skills and team work. Congratulations and well done to all the children who took part. Many thanks to parents who came and showed their support, the children really appreciated it. 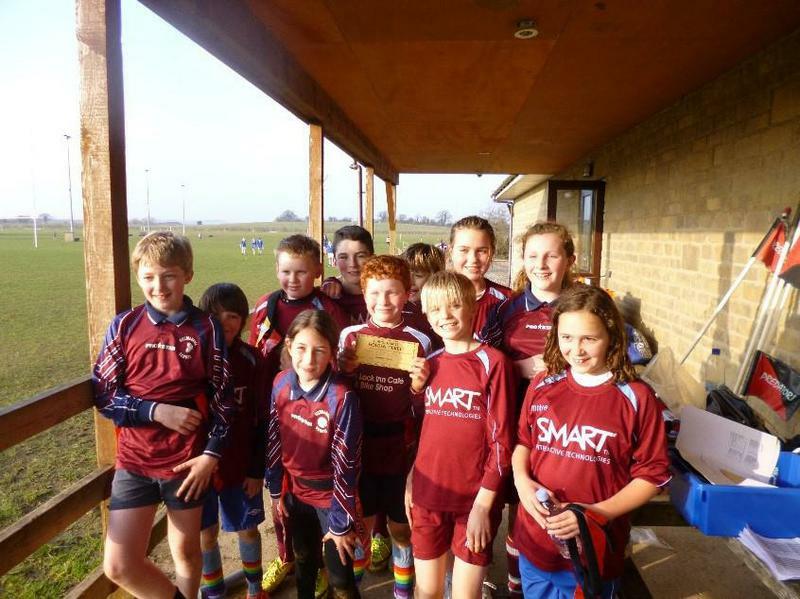 On Tuesday 18th November 2014, the Fitz Football Team went to Kingdown School in Warminster to play in a football tournament. We were in a pool with 6 other schools, where we won three matches and drew three. So we were unbeaten and went through to the semi-finals!!! Unfortunately we then lost 3-1, but we went into the play offs and won 3–0. Overall, we came 3rd out of 15 teams. It was great fun and we are all really proud of our success.